Merry Christmas! Finance Minister Arun Jaitley takes on the role of Santa Claus in today’s papers with a big announcement: “Standard GST rate between 12% and 18% likely” is the leading story in Hindustan Times. 28% tax will be reserved for “luxury and sin goods”, leaving most goods to fall within three tax slabs: 0%, 5%, and some standard rate between 12-18%. 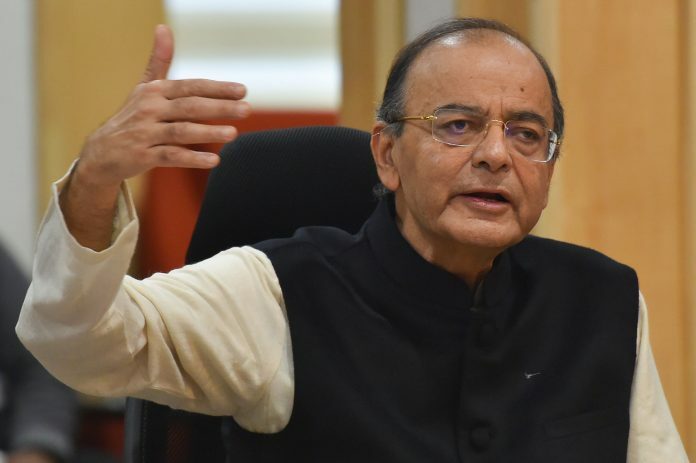 “A single rate will, however, ‘take some time,’” The Indian Express quotes Jaitley as saying. Its ‘Explained’ box says that even though a “single standard rate will entail revenue losses, it will help in simplifying procedure, a key industrial demand”. “This is the problematic part — revenue and optics considerations seem to have a greater role in rate setting than the nature of the goods or services to be taxed,” writes The Hindu in its edit, noting goods like cement continue to fall in the luxury and sin tax category for the revenue it will generate. HT puts its exclusive interview with the Dalai Lama on front page. “The temporal and spiritual world of Tibetan Buddhism seems headed for a period of uncertainty,” it writes, for the Dalai Lama believes it’s “not his business” to decide upon a successor. “The Dalai Lama confirmed that there was only informal dialogue on with the Chinese government through retired officials and businessmen after all formal channels were closed in June 2010. He said that he did not want an independent Tibet since 1974 but wanted protection of Tibetan people living even outside Tibetan Autonomous Region of China in terms of language, culture, religious affairs and environment,” says the HT report. The Dalai Lama said he was committed to a “middle approach” when dealing with Beijing and “admitted that the Tibetan people will gain financially from the rise of China,” adds the report. The Express leads with news of the Shiv Sena breaking seat-sharing ties with the BJP. “Ally Shiv Sena ratchets up the rhetoric, slams BJP on Rafale, echoes Cong guard-is-thief line” reads its headline. The Times of India also puts the report on its front page, going with a more straightforward “No poll talk with BJP now, says Uddhav” as its title. However, its editorial believes that the “NDA is back”, pointing out the BJP’s nimble success in joining hands with both the JD(U) and LJP in Bihar ahead of the Lok Sabha elections. “With Nitish and Paswan cool to the Ram Mandir campaign and staunchly secular, their presence can get more regional parties into NDA if 2019 throws up a hung Parliament. The Modi-Shah combine’s quick adjustments to the poll setback show they can be amenable to coalitions. From the aggressive Congress-mukt Bharat slogan to the defensive art of coalition management, BJP’s trajectory is coming full circle,” it writes. The Economic Times reserves its exclusive on AgustaWestland middleman Christian Michel for page three, with a headline that stuns, “Had Access to Internal UPA meetings, says Michel’s Letter”. The report says that in a letter addressed to the CEO of the company, Michel claimed to have had access to confidential meetings — including one with Hillary Clinton, US secretary of state at the time. With inputs from Ratnadeep Choudhary.